From The BreakBeat Poets: New American Poetry in the Age of Hip-Hop (Haymarket Books, 2015). Used with permission. Photo by Sheila Griffin. 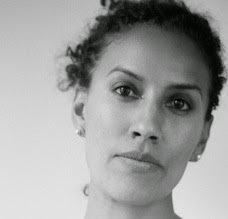 Aracelis Girmay is the author of the collage-based picture book changing, changing, and the poetry collections Teeth and Kingdom Animalia. Girmay is on the faculty of Hampshire College's School for Interdisciplinary Arts and Drew University's low-residency MFA program. For the past few years, she has been studying texts and other materials that, through form, language(s), diction, and gesture, perform and think about place and loss of place (or displacement), and what this sometimes has to do with the sea.